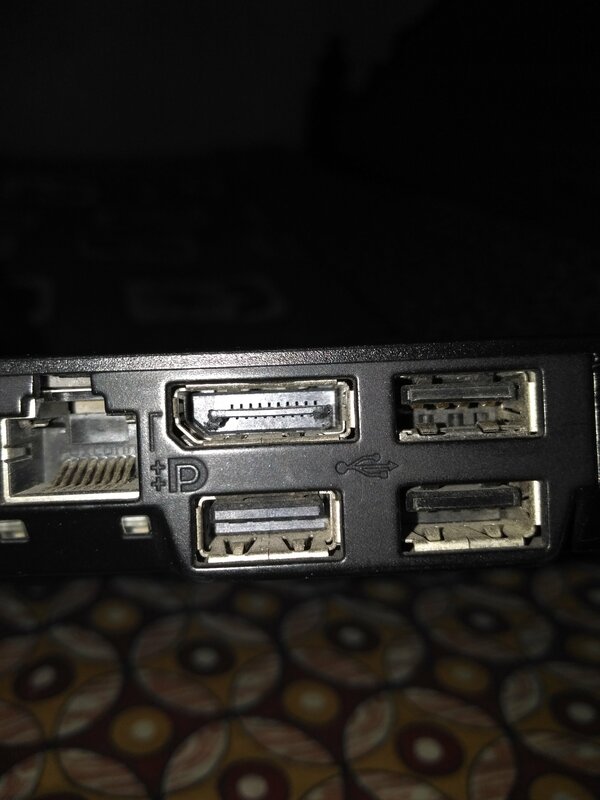 I believe the port on the laptop is a Display Port which was intended to replace VGA and/or DVI connectors. 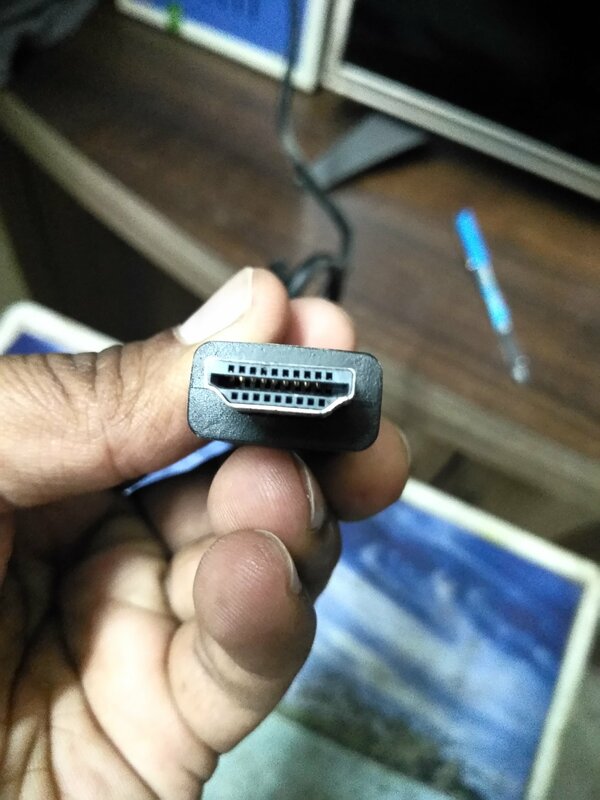 If there are no other compatible ports on the computer or TV then may need some kind of converter of some type. Check consumer electronics place or Amazon. It is DisplayPort to HDMI adapter.